With the slow economy and everything's price is increasing, we can merely buy a skincare or cosmetic products with less than RM 20, agree with me? 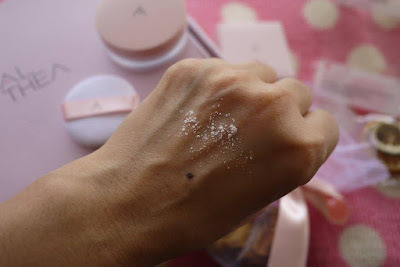 But I am sharing with you a face powder that cost us only RM 16, furthermore it is from Korea! Wow, that's sound so unbelievable but it's the truth. 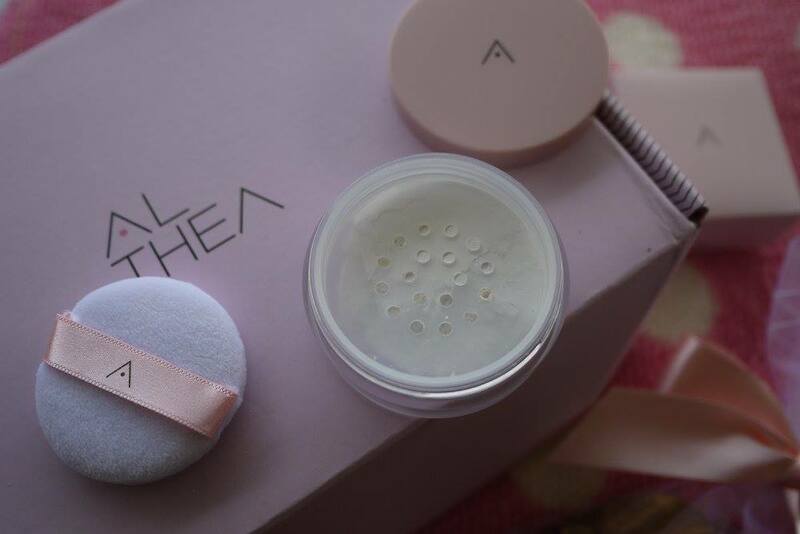 Introducing the Althea Petal Velvet powder, Althea's very first own product. Comes with a sweet pink and petite packaging, Althea Petal Velvet powder is made from natural flower petals. 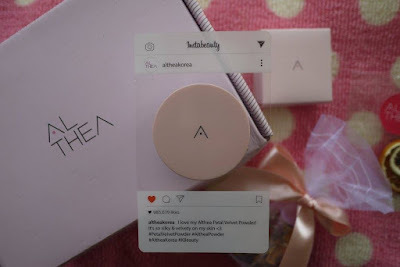 Infused with oil from Althea seeds, this powder works to keep sebum production at bay without drying out the skin for a radiant, fresh look, all while giving out a gentle scent. This translucent powder sets makeup and leaves behind a silky finish to the touch. I used it to set my makeup as the last step. All I needed to do it to dab the powder with the fluffy and cute sponge that is provided in the case. I can say that it's oil control is quite good to let me stay shine-free for long hours. Love using this powder! And it was so freaking cheap and nice to use =) Highly recommend! im going to buy this now!